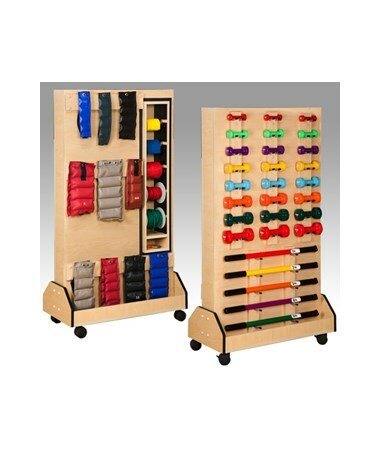 The Clinton Industries Vanguard Series Galaxy DualRac Weight Rack is a robust storage device designed to hold up to 56 cuff weights, 24 dumbbells, 10 weight bars and 5 rolls of the independent, quick-change positioned exercise bands and/or tubing used for any exercise areas, physical therapy, and rehabilitation facility. Awesome Design. Made with a solid surface, the Galaxy DualRac is easy to clean and has no pegboard to chip. It features 3" swivel casters, with 2 that lock, for easy & smooth movement around the facility and a protective bumper molding around the base ends to prevent damages and scuffs. 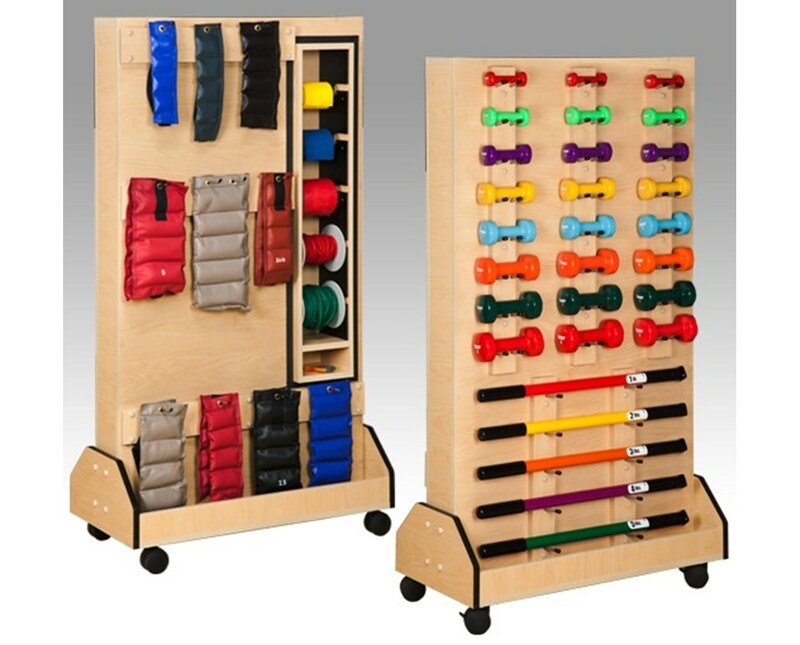 The sliding hook system provides the user a hassle-free experience of storing and positioning the cuff weights. The dumbbell rods are angled for greater stability and is made of a strong polycarbonate. The Clinton Industries Vanguard Series Galaxy DualRac Weight Rack comes in a size of 36" L x 18" W x 65" H.